It is hard to imagine a scenario where a landscape gardener who grew up on a farm in the New Forest and a group of world-famous movie stars would interact. 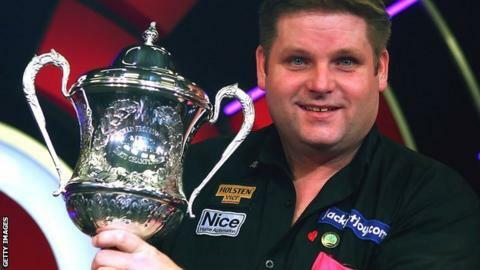 Yet Scott Mitchell, the newly-crowned BDO world darts champion, has been mixing with Johnny Depp, Amber Heard, Billy Bob Thornton and others on the set of an upcoming film. The 44-year-old from Bransgore has been involved in the making of 'London Fields', a movie adaptation of the Martin Amis novel of the same name. One of the main characters, Keith Talent, is an aspiring darts player and Mitchell was brought in to offer his expert advice to the cast. "I'm a bit of a body double or stunt double, whatever you want to call it, because we look alike," joked Mitchell when asked about meeting Depp, 51, as he filmed scenes for a cameo role. "He's a good guy and really talented at everything apparently. "I put three darts in his hand and he asked where to throw, so I told him to throw for the bullseye. "With his first three darts, he went 25, then missed, then 25. So I took the darts out of his hand. We don't want him playing, do we? We don't want him beating us." Mitchell continued: "Amber is absolutely lovely. She was quite happy to pose for pictures with me. "Every time Billy wasn't doing anything, he'd grab a set of darts and come over. He'd go round the board and I'd go round on doubles. We'd have games, we got all of the scaffolders involved and it was a really good four or five weeks. "It was about 14 months ago that we did that, but in the film world it seems to take a long time." So how on earth did a country boy like Mitchell end up on a London film set? "A very good friend involved me," he revealed. "My name was bantered around because I'm quite easy-going and grounded. I'm quite happy to sit around for three or four hours not doing anything, then get called on for 10 minutes and then back off. "They'd say 'we need a 180 and a 140'. I'd jump on set and try to hit it. "I'd only been to London about twice before this film thing but it's a really cool place. "We drove across Tower Bridge - I'd seen it on the telly with the fireworks going off and everything, but I'd never driven across it. "I said at the time that it would be really cool to drive a tractor across there. I'd love to do that." Mitchell earned £100,000 for triumphing at Lakeside and admitted afterwards it would change his life. However, any dreams of flash cars or exotic holidays are on hold for now, as the vehicles on the family farm are in need of an upgrade. "We've got about four tractors that don't run particularly well," said Mitchell. "We have to jump start them and one's got an oil leak. "Everybody thinks I've got a lot of money now, so all of a sudden the tractor prices have probably gone up in my area." Wife Sharon, meanwhile, has been waiting many years for a proper honeymoon. It was initially postponed because the groom was taking part in a motocross race in Weymouth shortly after their wedding. "The first time I ever took her anywhere was probably to the Jersey Open a few years ago," added Mitchell, a huge speedway fan who follows Elite League side Poole Pirates. "She'd always wanted to go to Jersey and she said she would come along, but she didn't realise the darts was on. "She's been two or three times to Jersey now - what more can I do?" he laughed, before suggesting Cornwall - a place he describes as a "home from home" - as an alternative destination. Mitchell has been aided by a hypnotherapist in recent weeks and won the world title on his sixth appearance at Lakeside, having failed to make it past the last 16 in his five previous visits. Clinching a 7-6 victory in a gripping final with Martin 'Wolfie' Adams assured Mitchell of his place among the pantheon of world champions. But it was quickly back to reality for the 'Scotty Dog'. Less than 30 minutes after being presented with the trophy and heading off the Lakeside stage, Mitchell was already thinking about cutting and marking the pitches at three local football clubs later in the week. And he was also digesting the disappointment of possibly being dropped by his local pub team, who play in the Wimborne Minster League on Monday evenings, as he had missed their previous fixture because of his commitments at Lakeside. "They are that strict," Mitchell said of his colleagues. It seems there is no excuse good enough for missing a darts match with your mates these days. Not even winning a world title.